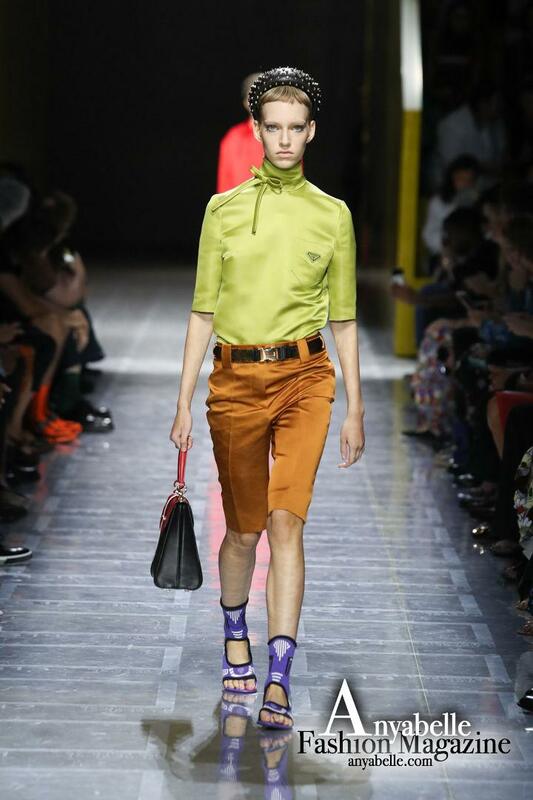 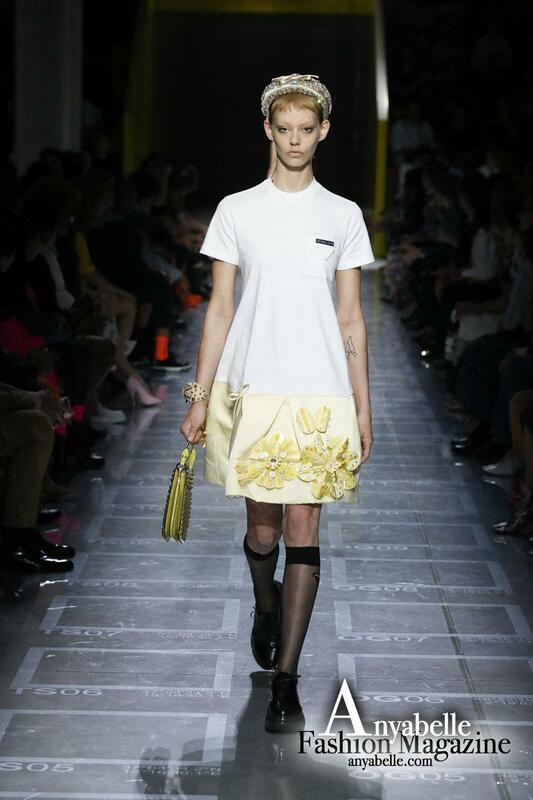 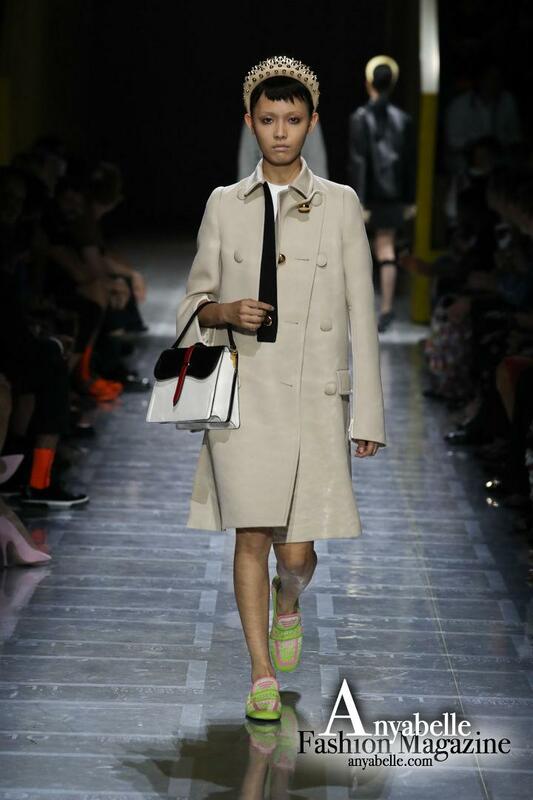 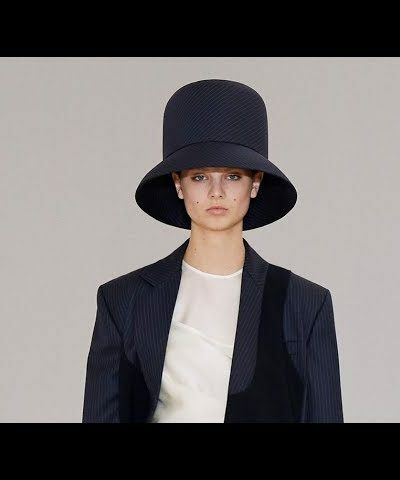 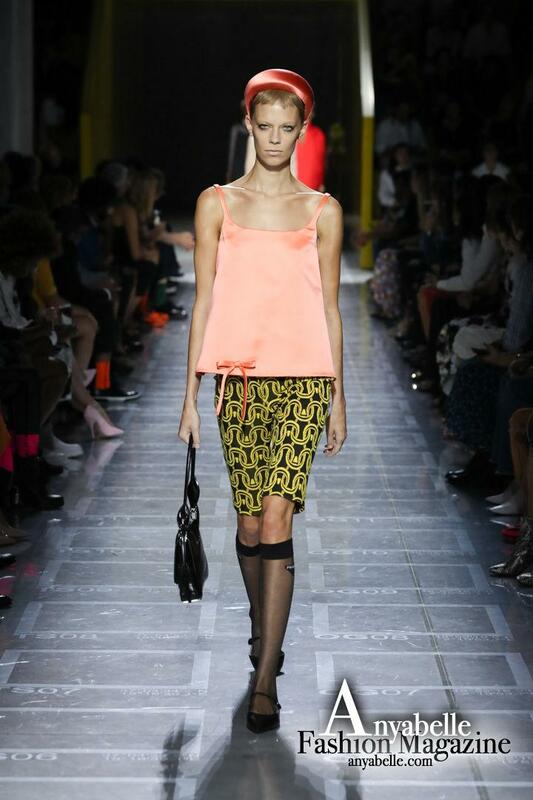 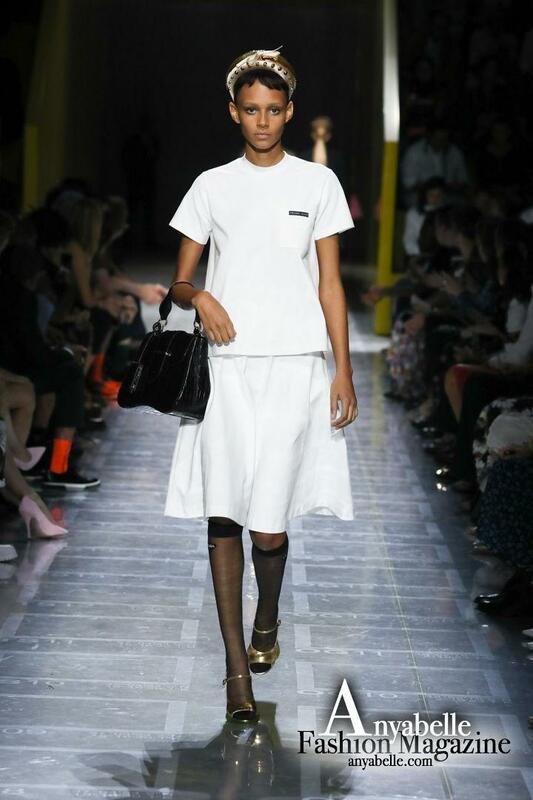 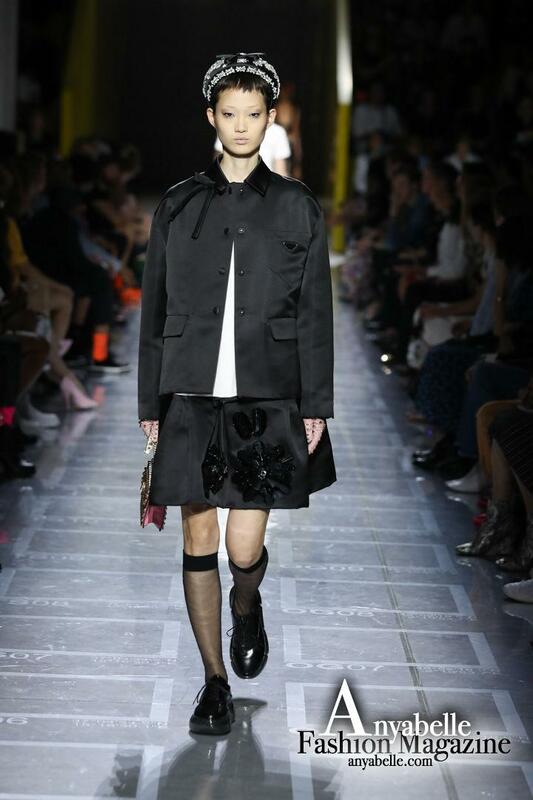 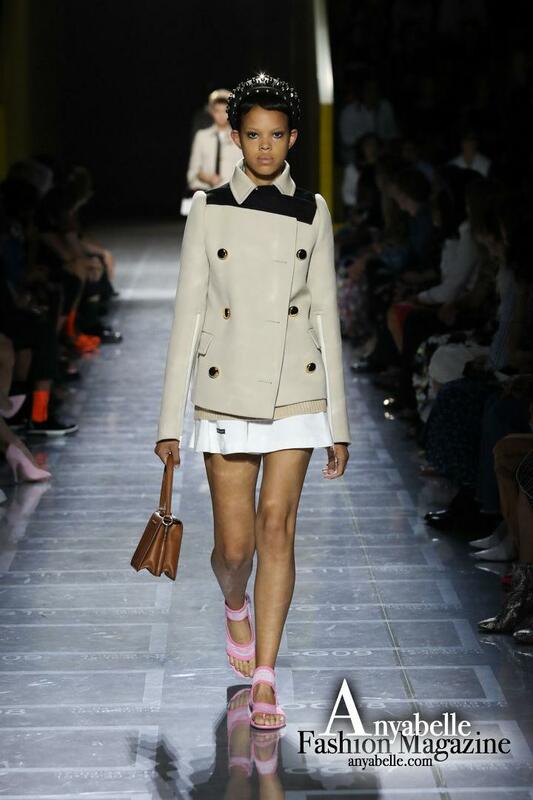 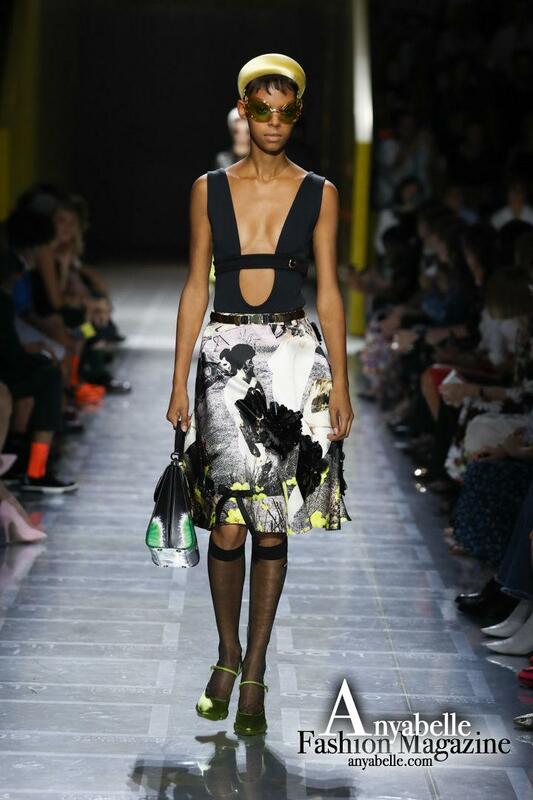 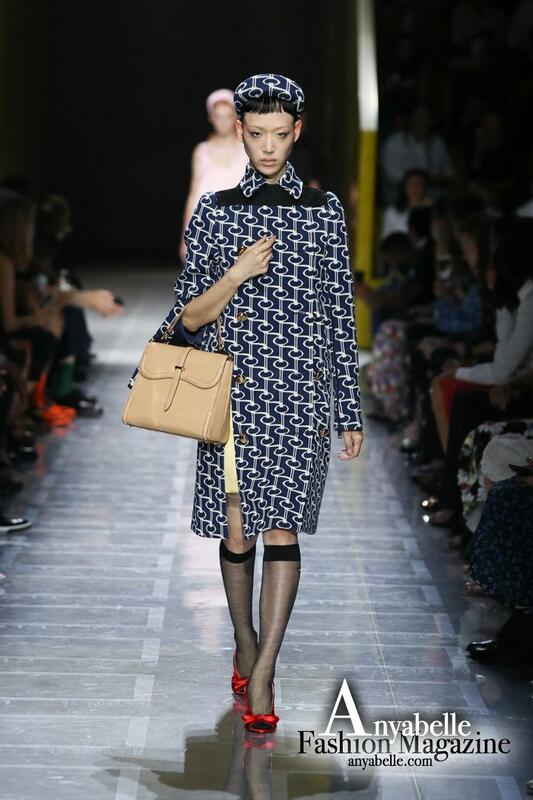 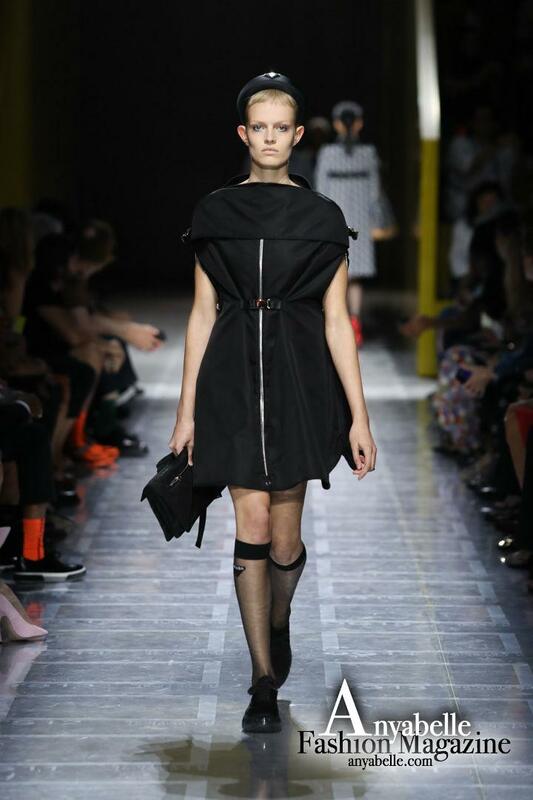 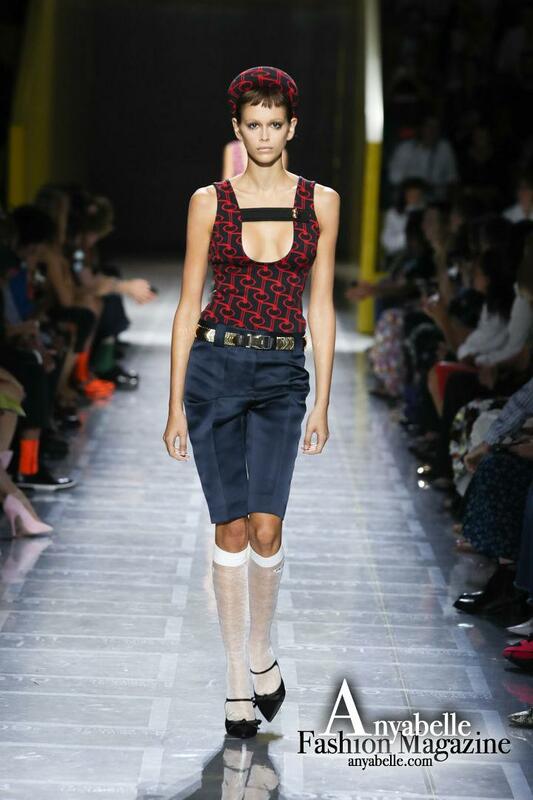 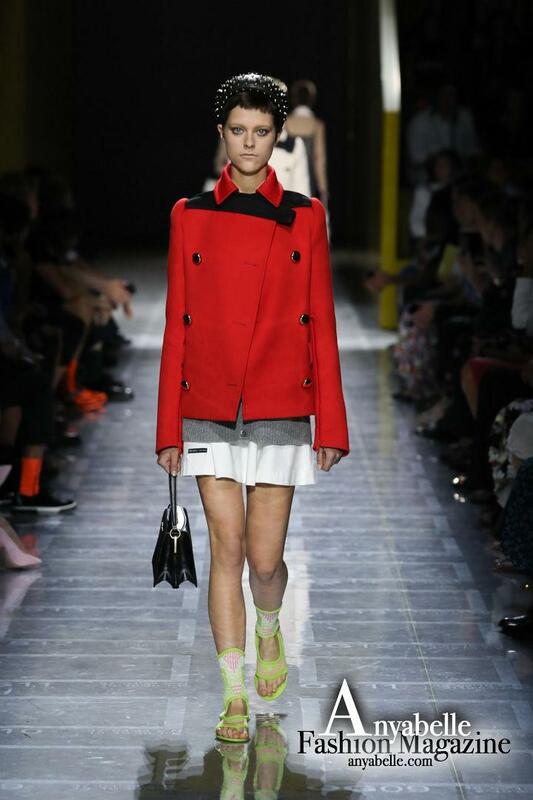 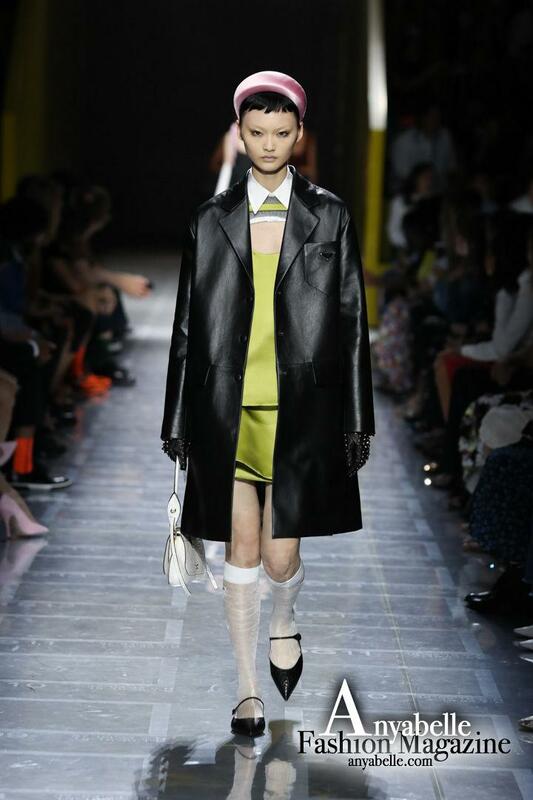 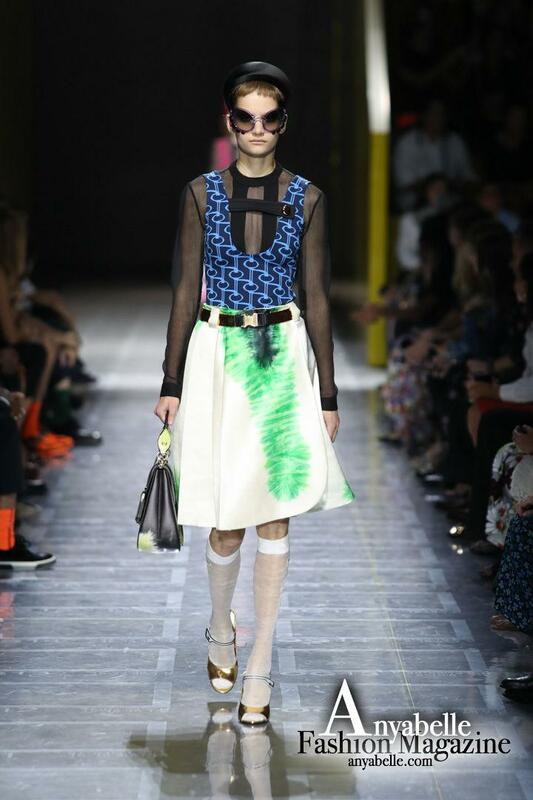 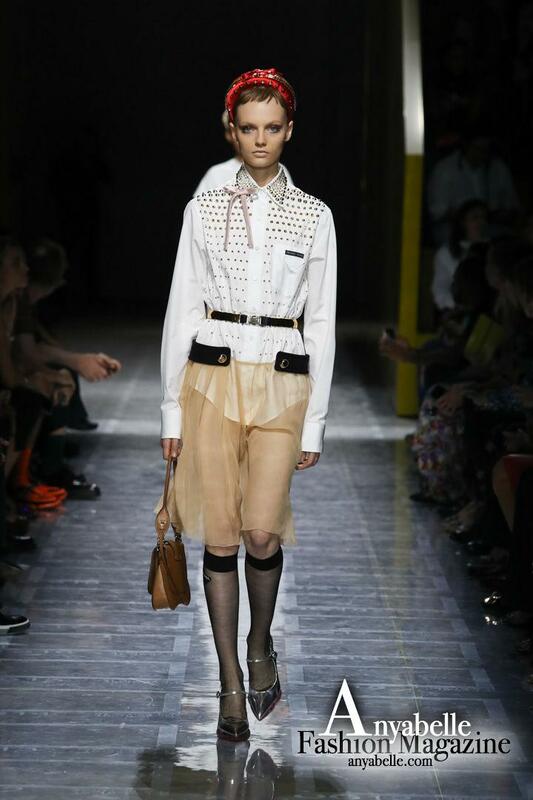 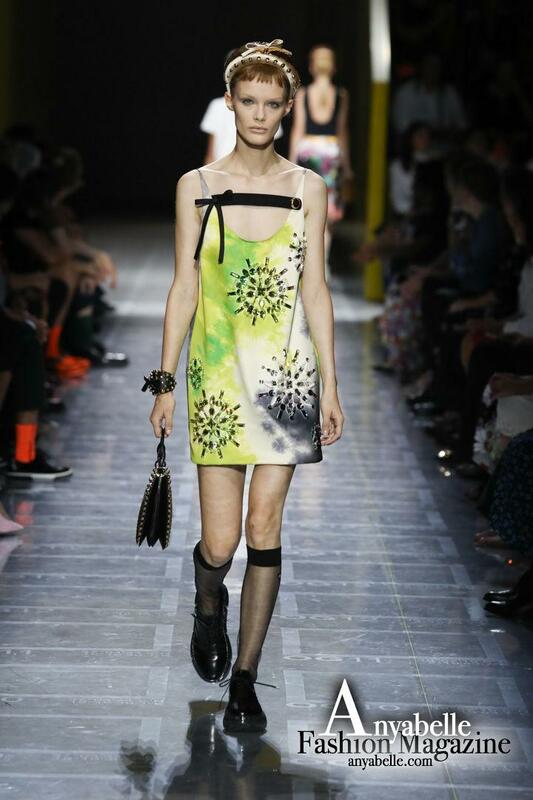 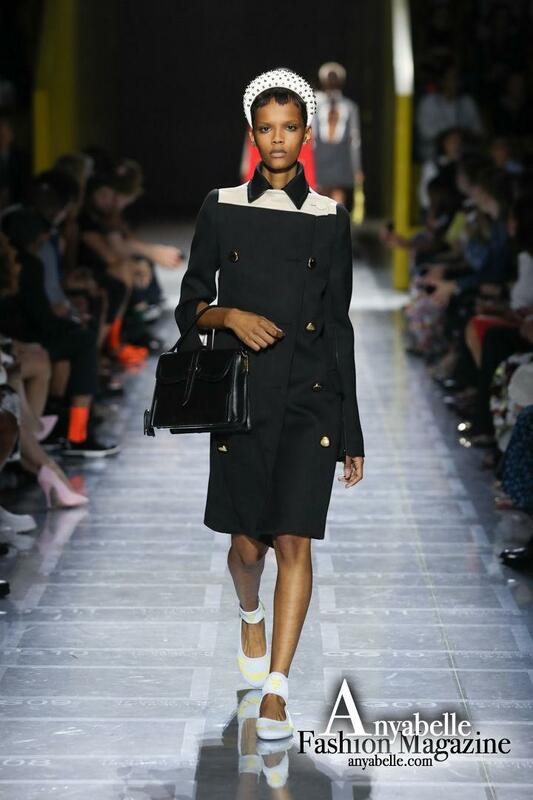 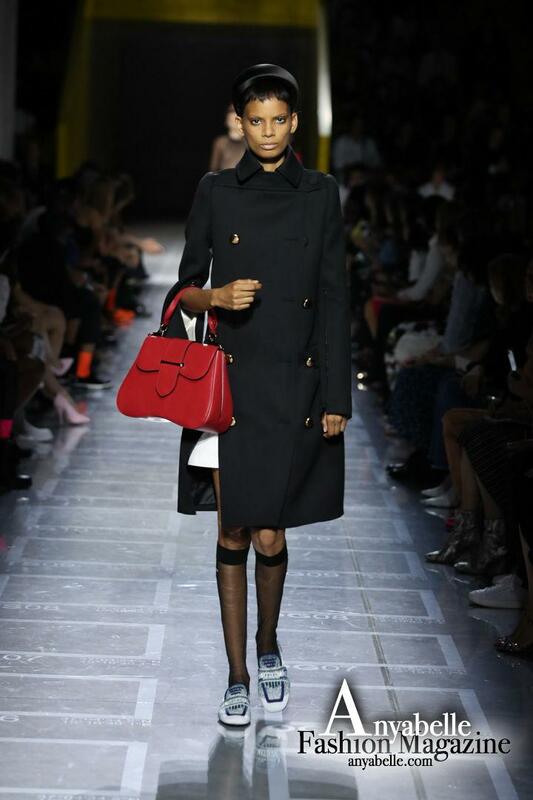 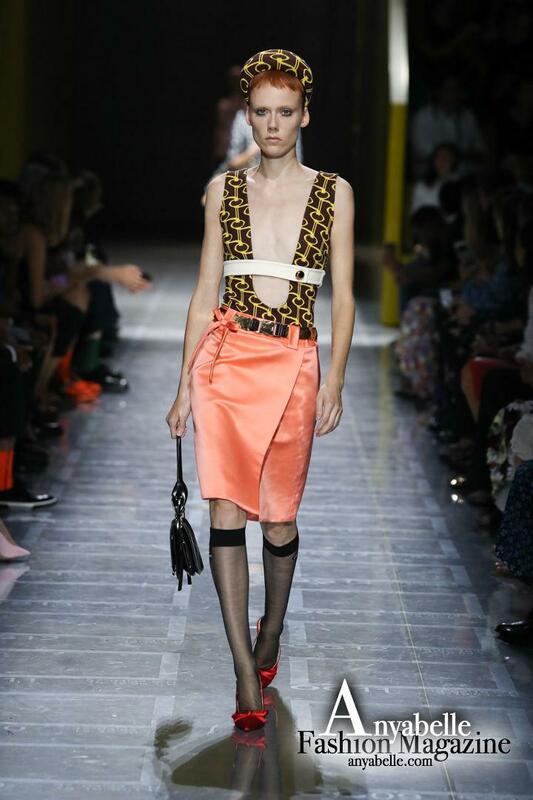 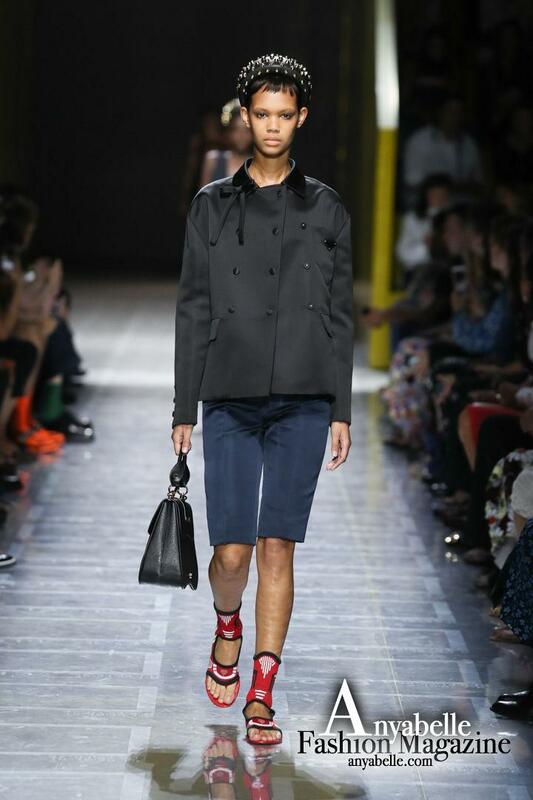 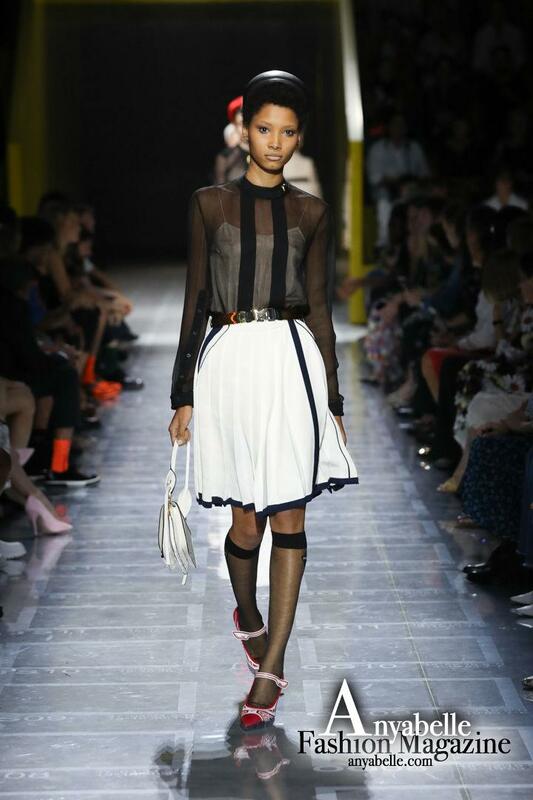 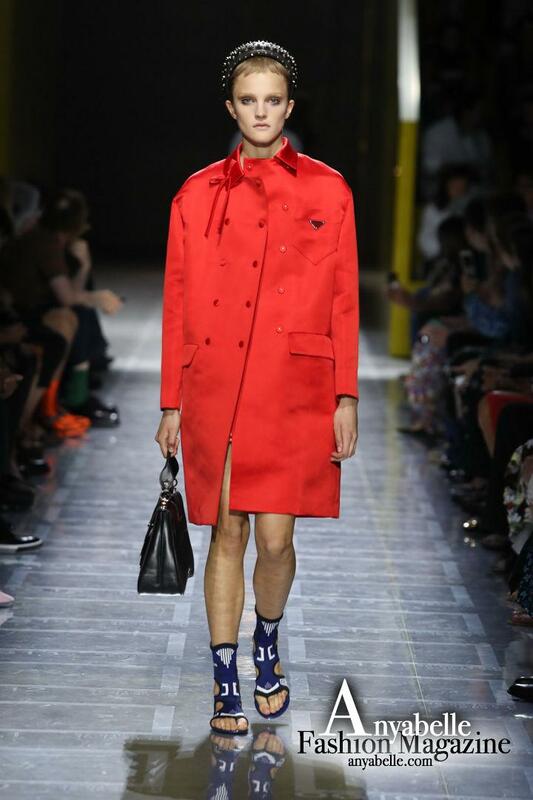 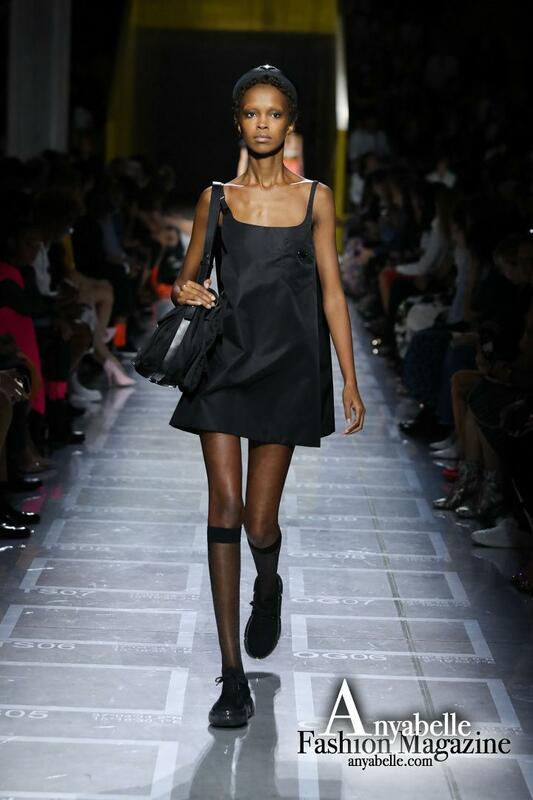 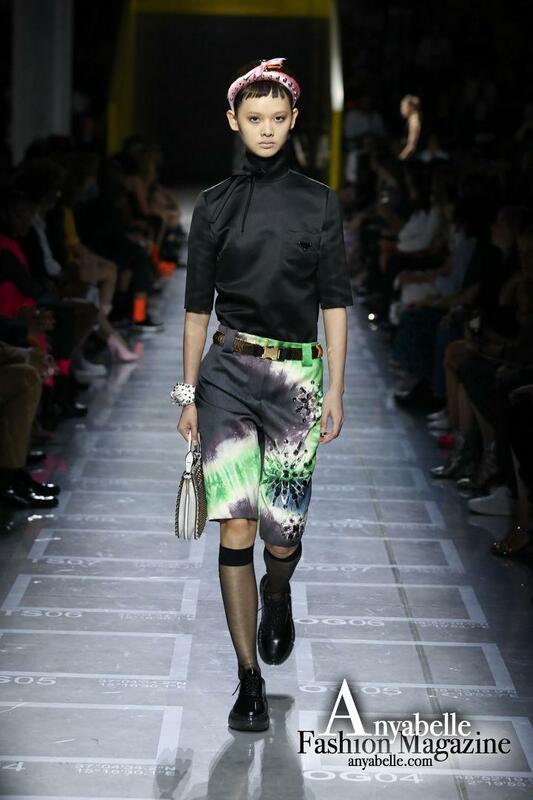 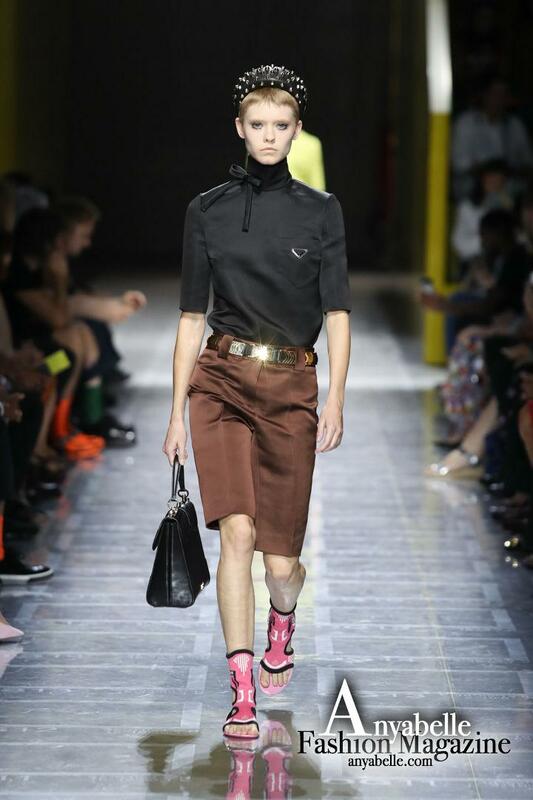 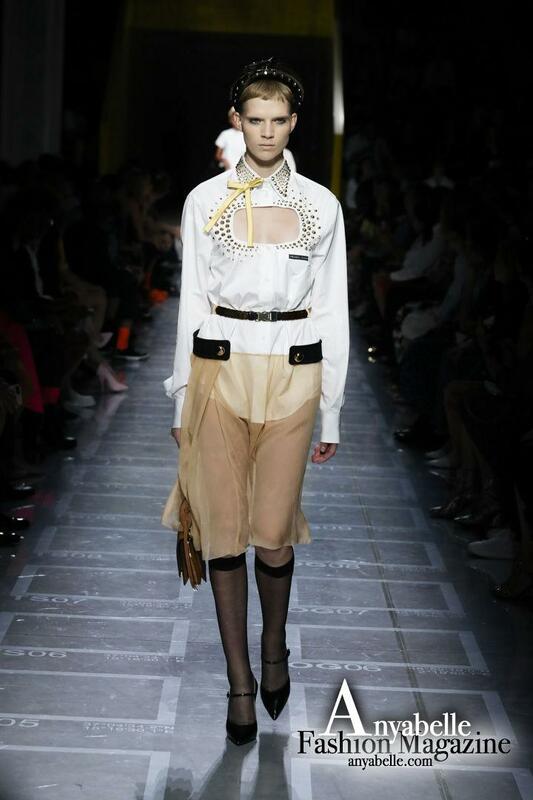 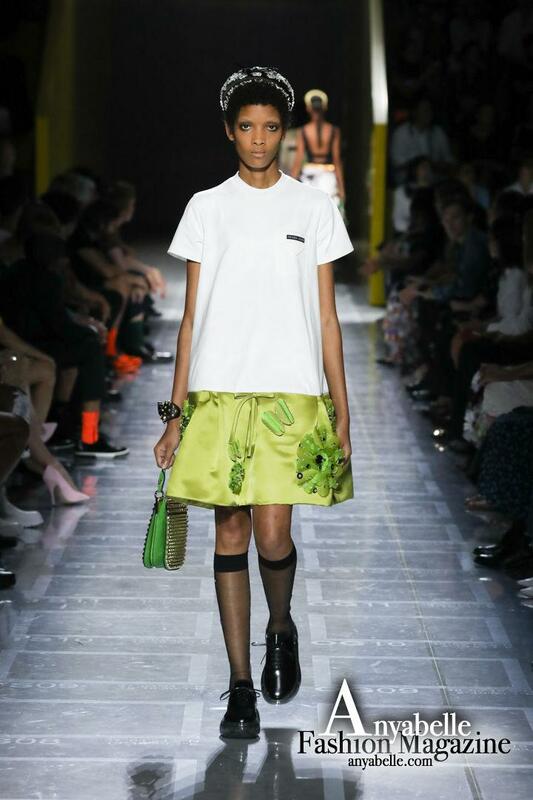 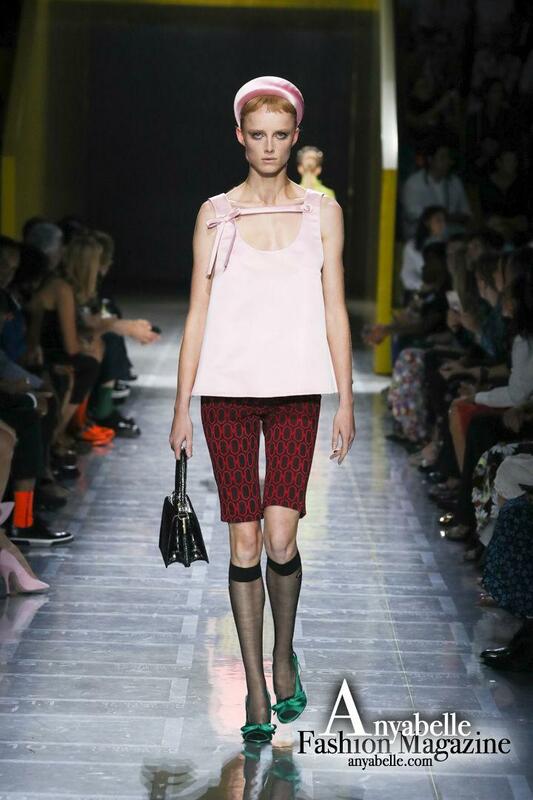 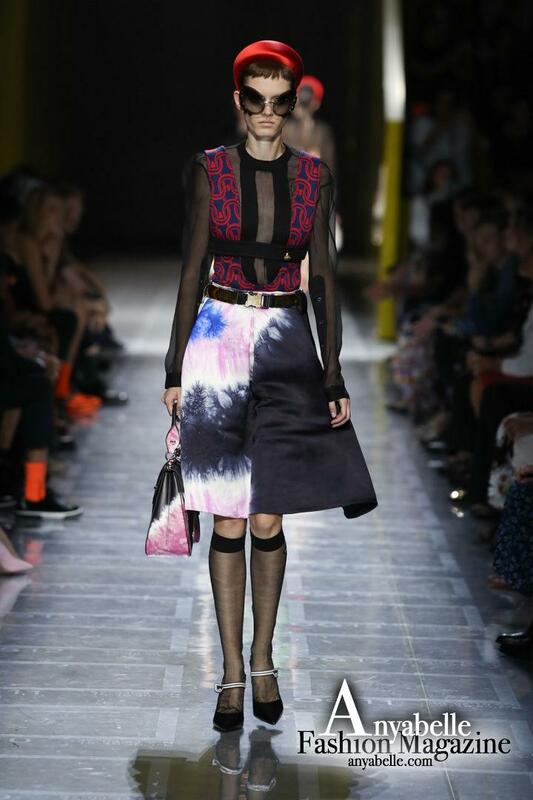 The luxury brand Prada launched the Prada Women’s Spring/Summer 2019 Fashion Show at Milan Fashion Week on September 20, 2018. 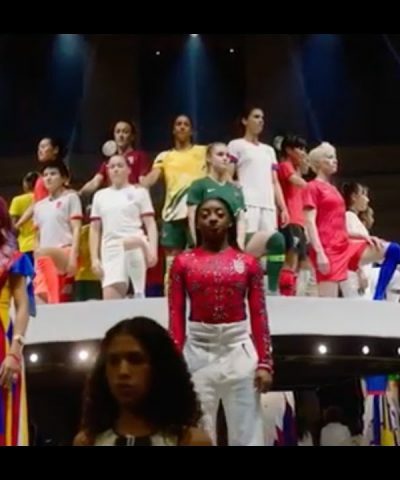 AMO transforms the Deposito, the most dramatic space of the Fondazione Prada complex into a multifunctional venue for performances. 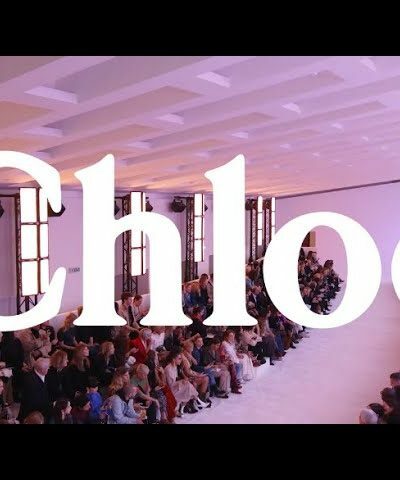 Through a series of architectural interventions, the design of the venue reinterprets the classical spatial repertoire of the theatre with a Terrace, Parterre and Balcony and uses these to activate the hall for the fashion event. 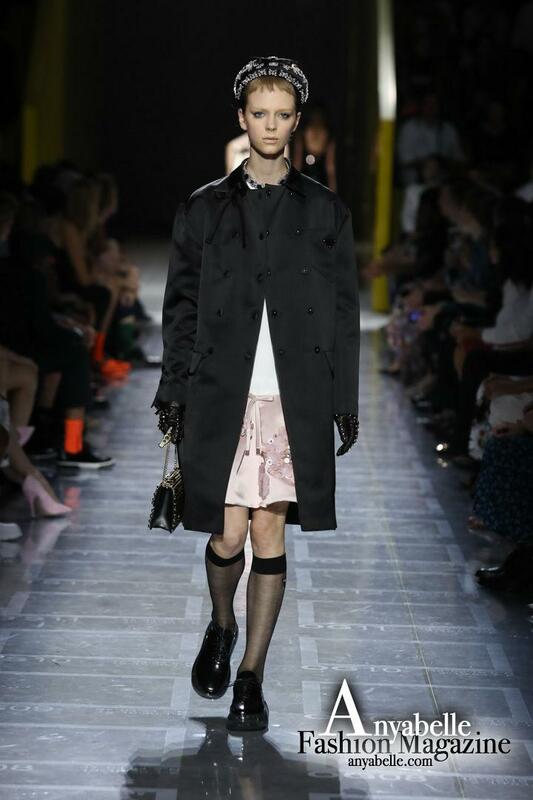 These elements offer different ways for the audience to experience the show, while simultaneously defining a perimeter within the room, sparking a dialogue with the industrial character of Deposito. 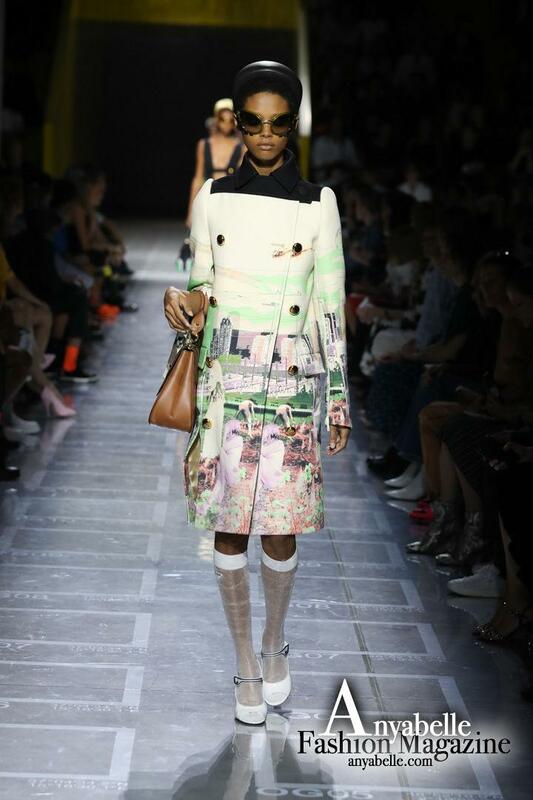 For the transparent inflatable stool in the center of the show, the first feeling is that it looks cheap, but in fact, it is an exclusive re-edition of the 1960s piece, produced by VERPAN for PRADA – expand the set’s material palette, vanishing in the dim lights that outline the plastic carpet of the parterre – the same 100% recyclable clear plastic sheet on set at the Prada Menswear show in June – creating an uncanny and dreamlike atmosphere. 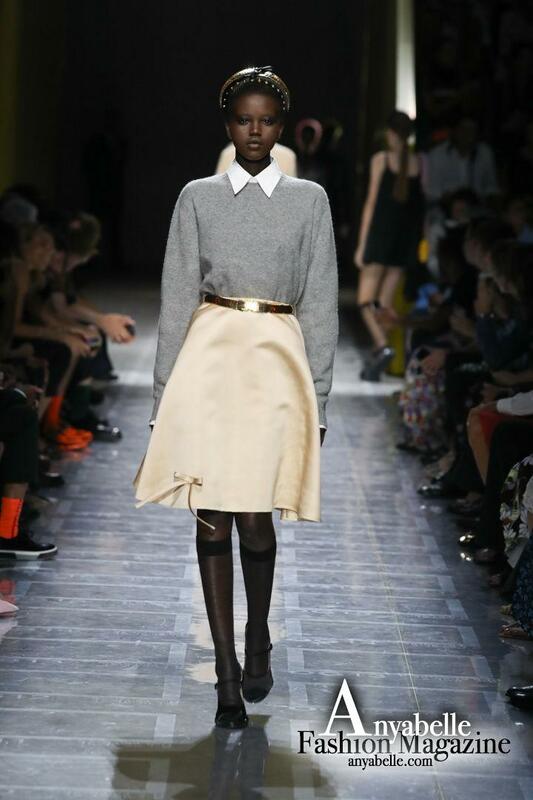 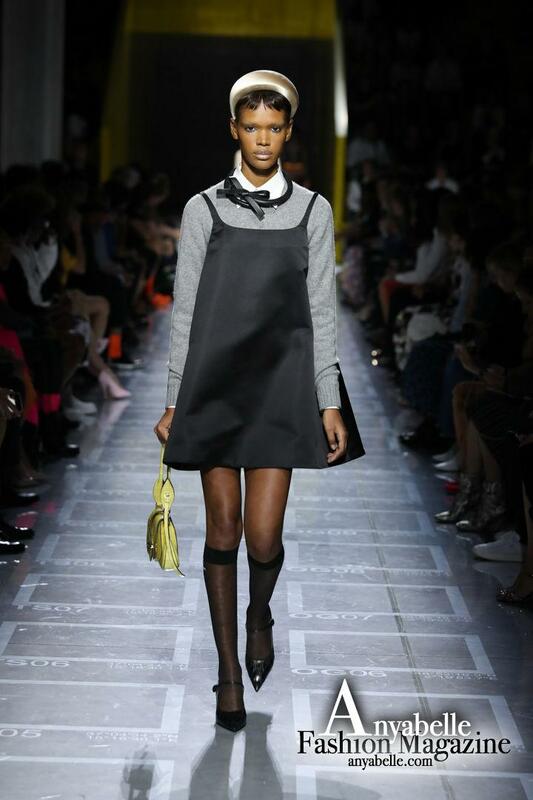 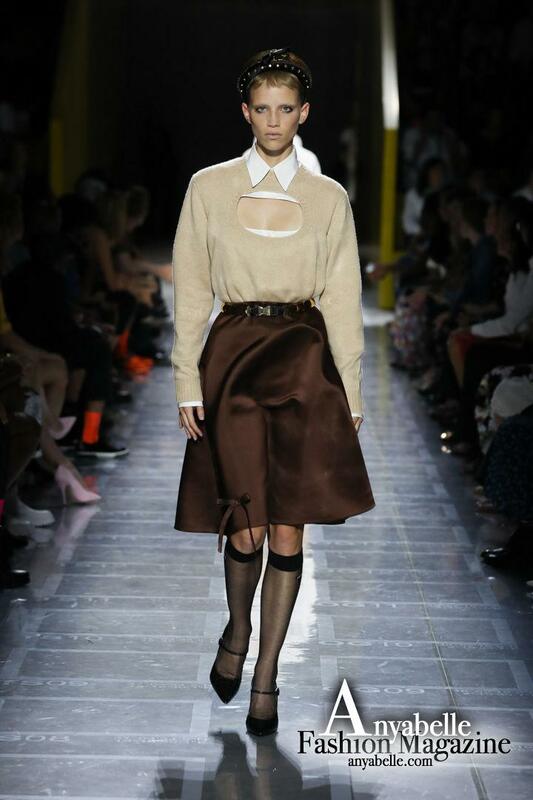 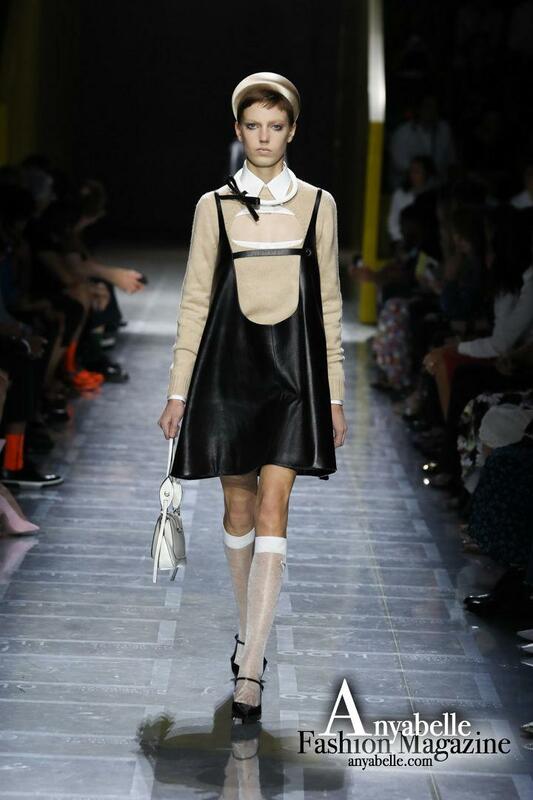 Models wearing wrinkled knee-length stockings, satin material and printed cycling shorts, trapezoidal dresses, doll shirts, and loafers marching on the catwalk seem to bring us back to the early childhood and student days. 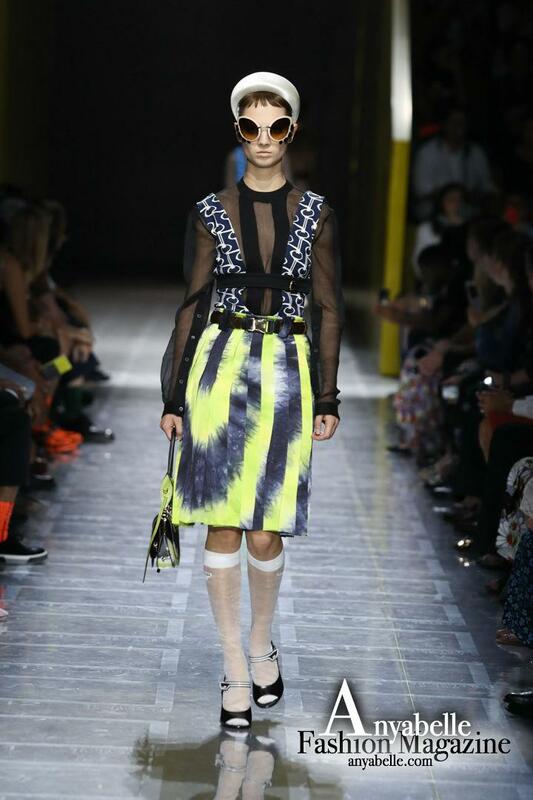 The entire collection is full of bold colors, contrasting patterns and Tudor-style padded headbands, tie-dye and digital printing. 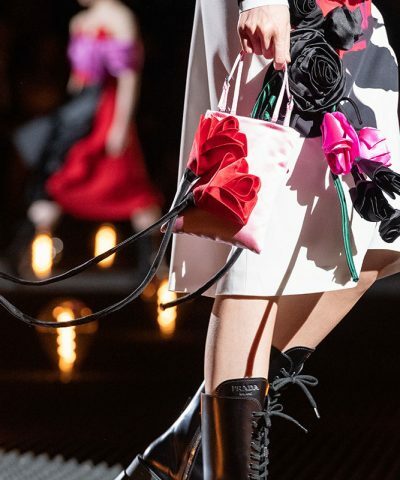 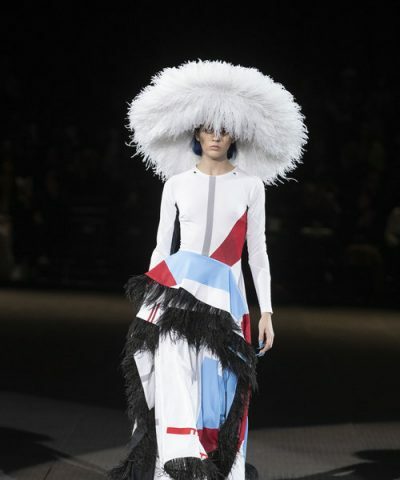 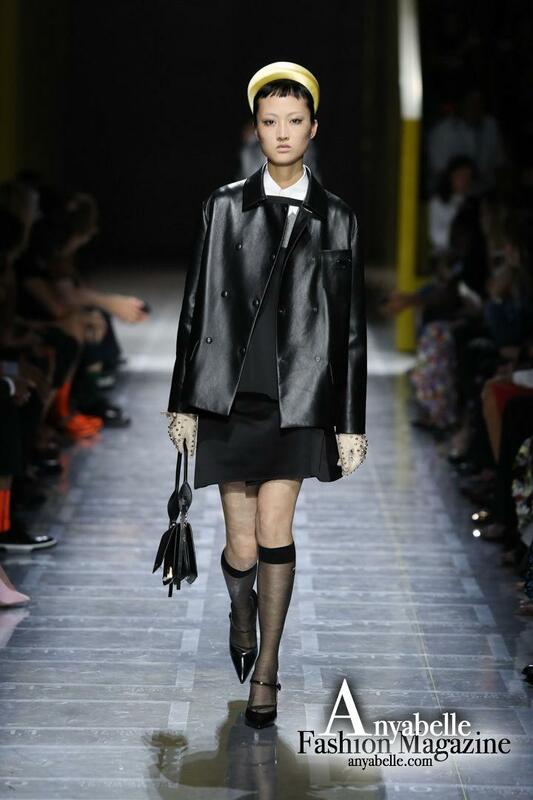 Prada’s chief designer Miuccia Prada brings us several designs examines the overlapping process of several design practices in an unexpected dialogue between materials.